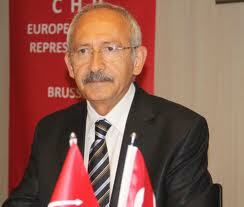 Turkey’s contentious education bill would lay the ground for large-scale corruption in the procurement of tablet PCs under an ambitious government project, main opposition Republican People’s Party (CHP) leader Kemal Kılıçdaroğlu said yesterday. A provision in the bill would effectively exempt the so-called FATİH project, under which the government would buy millions of tablet PCs, from the Public Tenders Law, Kılıçdaroğlu said speaking in İzmir yesterday. The amendment to explicitly mention Quranic studies as an elective course was designed deliberately to divert attention from that clause, he claimed. “They are covering up a theft of $20 billion dollars and to do so they are using our holy book, the Quran, as a tool. Why is a tender worth $20 billion being included in this bill and not in the Public Tenders Law? 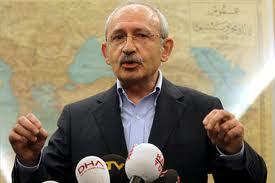 And when we raise objections to it, Tayyip Erdoğan will say that we are against the Quran,” Kılıçdaroğlu said.